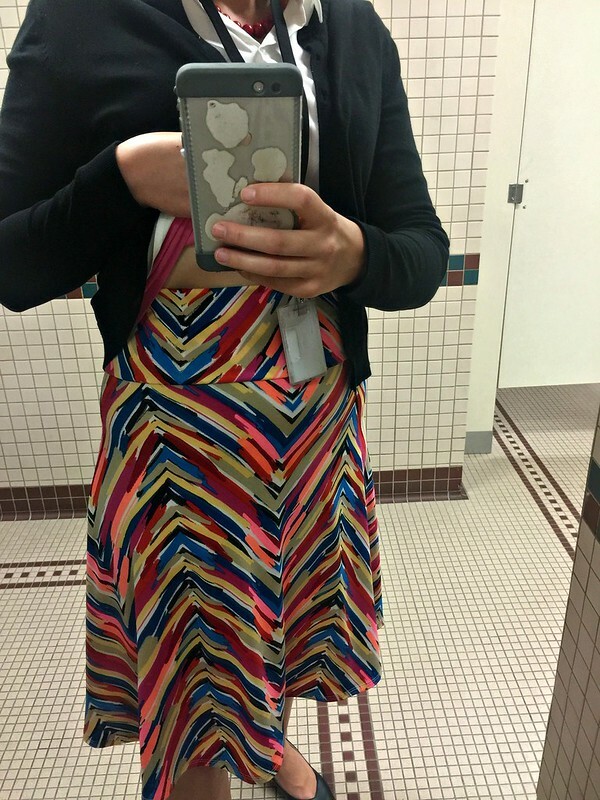 Note: I don’t sell LuLaRoe, and I paid for the dresses that I show in this post. This post does contain an affiliate link to Amazon. 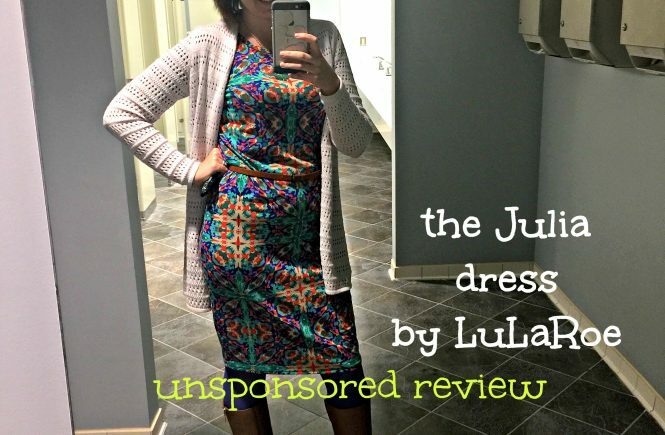 I love, love, love the Julia dress from LuLaRoe. Now I typically like to spend no more than $30 on a dress, so I’ll wait for the department store sales before I go dress shopping. But the Julia –priced at $45– is worth the money, in my opinion. Since it’s a form fitting dress, I was originally skeptical that I would like it. But the fit is so, so flattering! I did size up larger than the recommended size. 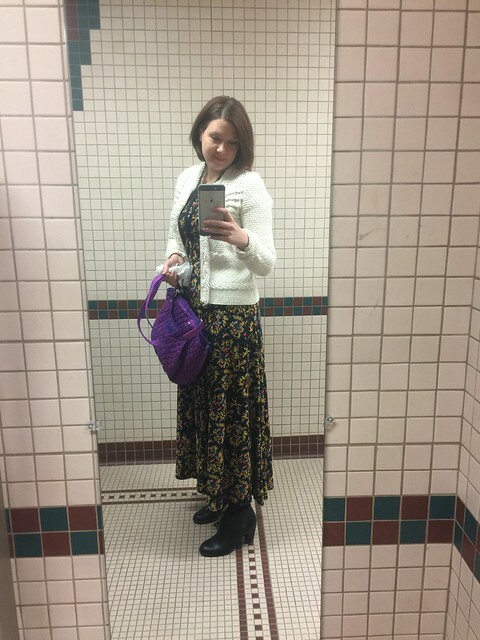 In the Loft or Ann Taylor, I wear an 8 or a 10 in dresses (usually an 8). 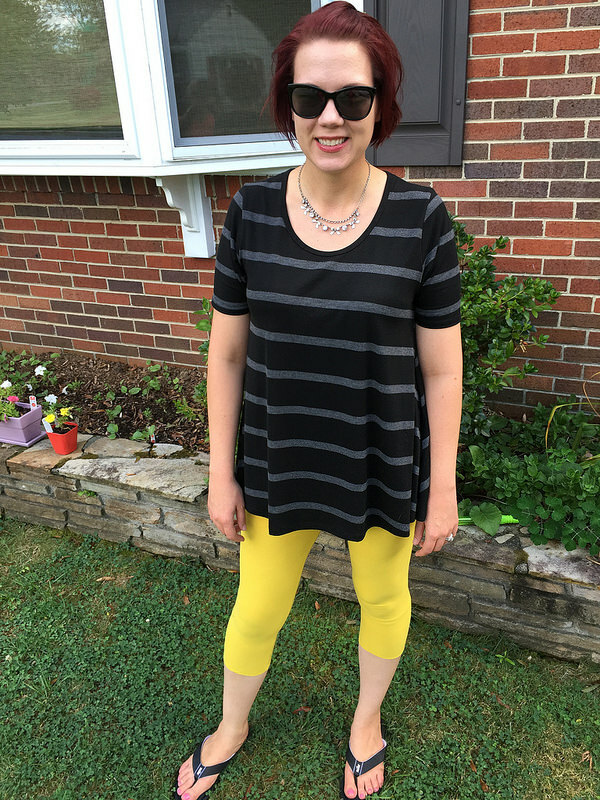 The Julia size chart recommends that I order a medium, but I already have an Ana dress in medium, and I don’t like how tight it is in the rib cage and the arms, so I ordered the Julia in a large, which is supposed to fit sizes 12-14. 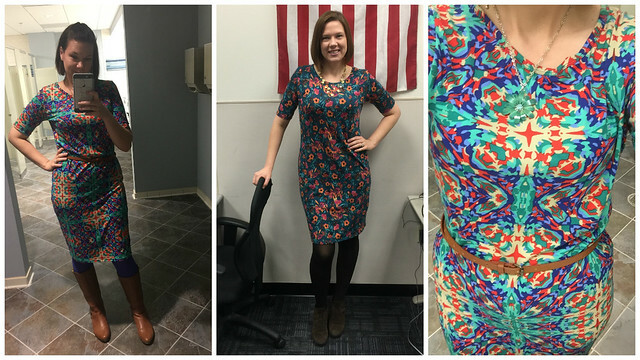 What is also great about the Julia dress is that my friend who is built completely opposite than I am also loves it. Nicole is much shorter than I am, and has a very curvy but athletic figure (think hourglass), where my figure is more straight up and down (rectangle). The fact that two very differently built people both love this dress really shows how great this dress is. The Julia is a midi-length dress, but I have two of them, and the geometric print dress is shorter than the other as you can see in the photos. At 5’10”, I prefer the longer length. 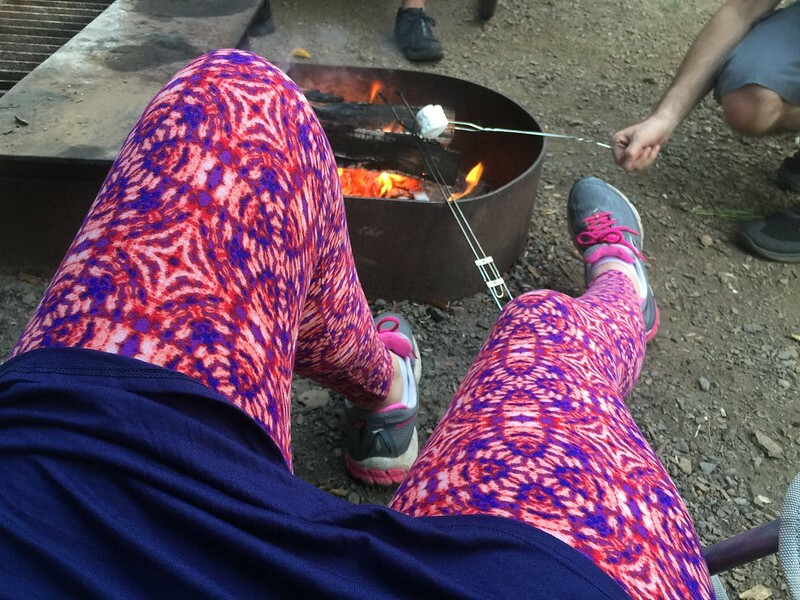 My knees are not exactly my favorite part of my legs. This dress is so comfortable! I’ve been wearing it to work, and I basically feel like I’m wearing a pajama t-shirt all day. Throw a complementary blazer on, and Julia looks completely professional. 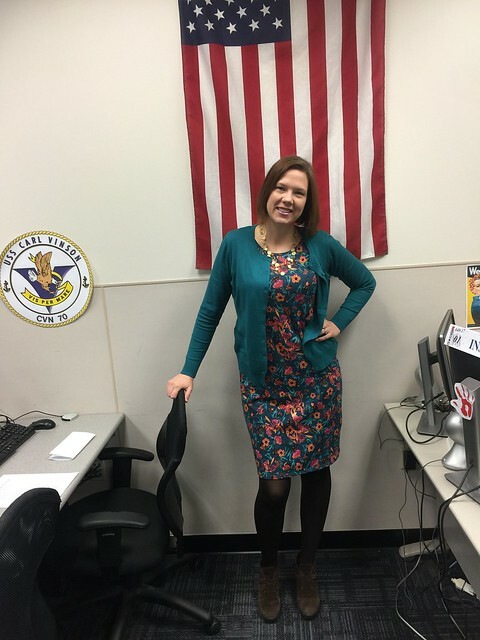 I’ve been unexpectedly called into a meeting with high-profile “customers” while wearing a Julia (I work for a DOD school that’s for service members, so basically our “customers” are the career field managers from all military service branches). 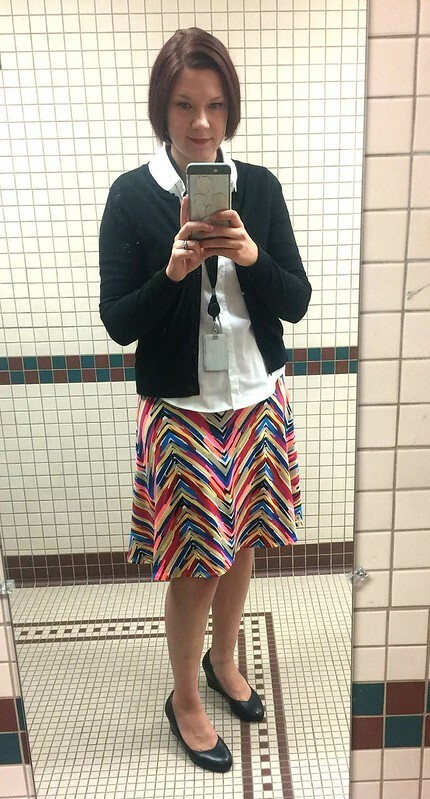 I felt completely confident that I was dressed appropriately, and I believe I presented myself professionally. And I was so comfy doing it! Wearing Julia at work with a teal cardigan, brown tights and brown chukka boots. By the way, if you like my cardigan sweater in the photo above, it’s the BIADANI Women’s Crewneck Button Down Sweater on Amazon. The teal cost me $14.99, and I’m very impressed with the quality. The fabric is thick, and it’s difficult for me to find tops with long enough sleeves for me. I love how many colors and patterns are constantly available. I’m planning on buying a couple more Julias in more casual prints or fabrics as go-to dresses for this summer. I think this dress will be perfect for the playground or walking around outdoor shops, etc. Do you own a Julia? What do you think about it? 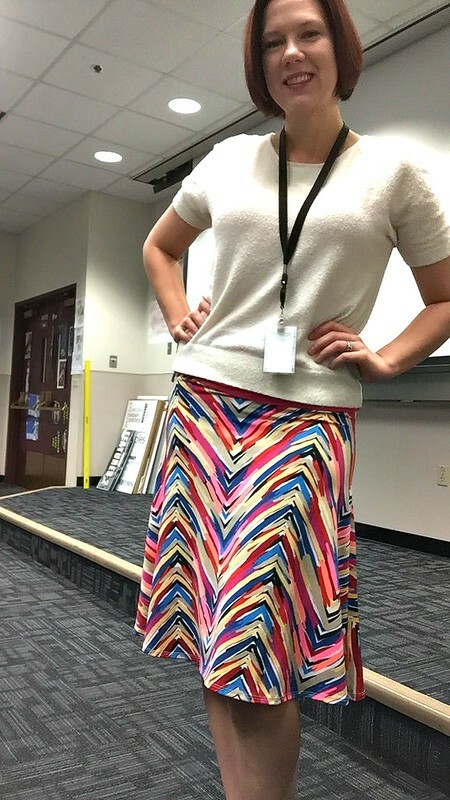 First, I am not a LuLaRoe consultant; I am not being compensated for this post. 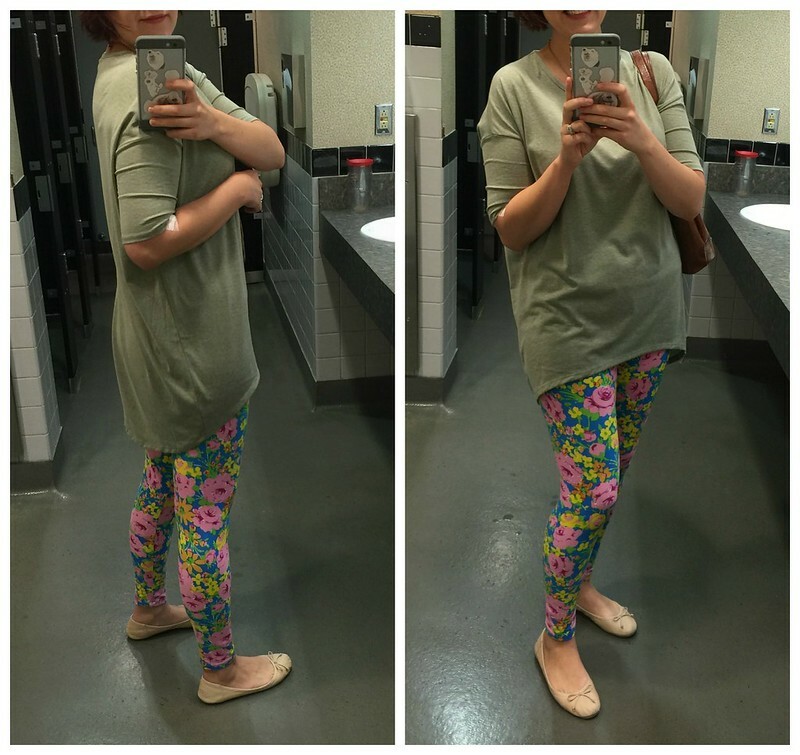 Next, if you’re unfamiliar with the LuLaRoe brand, I recommend you read my earlier LuLaRoe post. 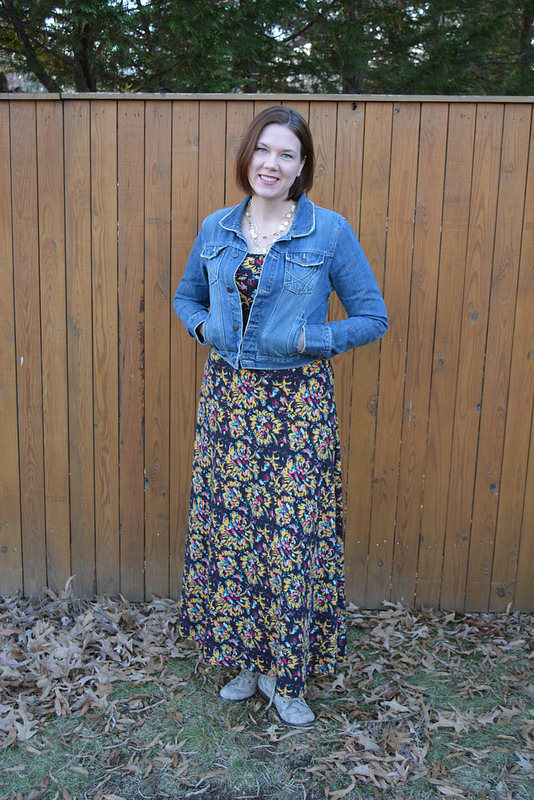 I like maxi dresses, but I hemmed and hawed for a few months before buying an Ana dress. This was partly because at $60, it’s a little pricier than I want to pay for a dress. Second, I knew it wasn’t going to be floor length on me because I saw from photos online that it’s floor length on women who are shorter than I am. 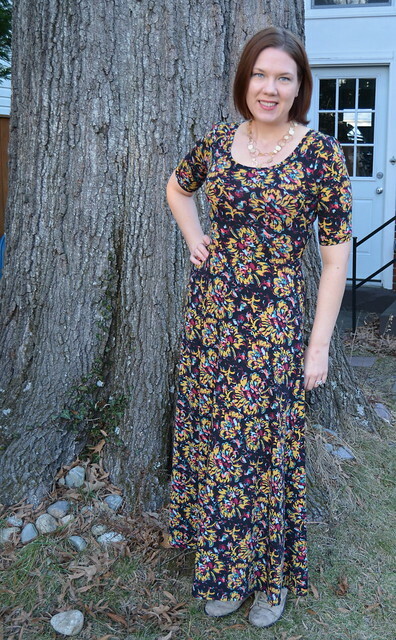 But when a friend threw a Facebook LLR party, I found an Ana dress in a pattern I liked, and I finally bought one. 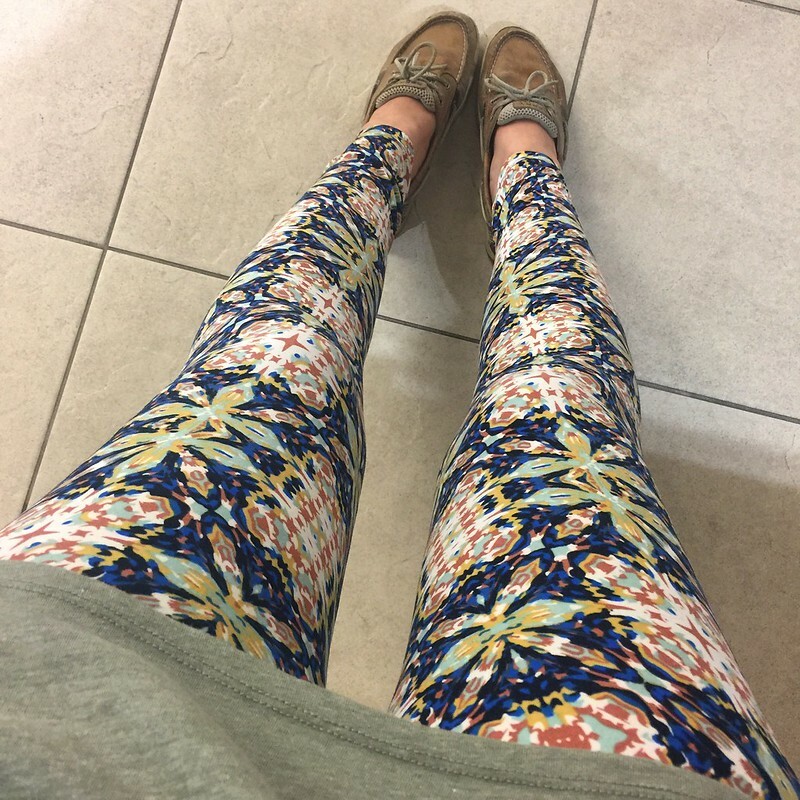 I’m 5’10,” and my weight is usually around 160 pounds, so I generally wear a size 8 or 10 in clothes, depending on the brand. I bought the Ana in a Medium, which is supposed to fit dress sizes 8-10. 1. You may or may not be able to tell in the photo below, but it’s really tight around my ribcage and my arms. I do have a large ribcage, and my waist is not very defined compared to my ribs and hips, so if you’re a similar weight and dress size, you may not have this problem depending on your build. 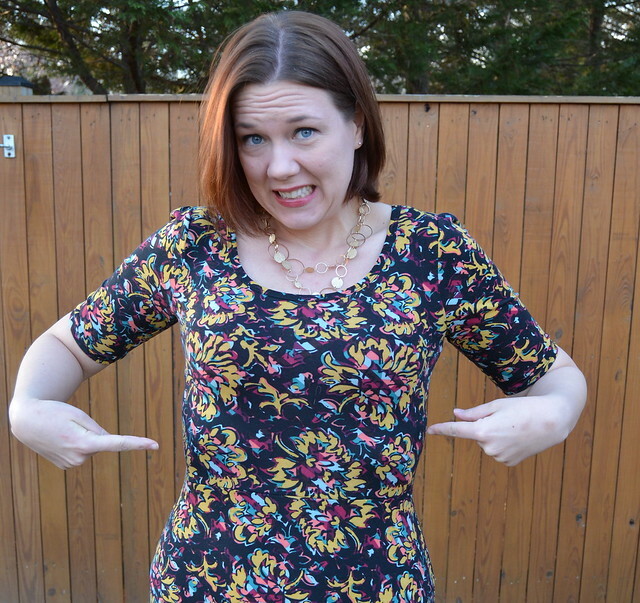 However, because of the tightness, I later purchased the LLR Julia dress (my favorite!!!!) in a Large. So the bottom line is that I probably won’t buy another Ana again because they are expensive for a dress that really isn’t long enough (or short enough!) for me. I think it would fit someone around 5′ 7″ a lot better. UPDATE: Thanks to Stacy’s comment below, I did try sizing up with a Large Ana. I still found the sleeves and ribcage a little tight, especially considering I’ve lost weight since I originally posted, but the length on the Large is just about right for me. I will post photos soon! Have you tried the Ana? How did you like the fit?